Mix dry ingredients well and seive thrice. Mix jaggery in milk and filter to remove impurities. If using sugar, skip this. Add curd, butter, oil and whisk well. Mix dry ingredients in batches and fold. Bake at 180 deg for 30 – 35 minutes in a preheated oven. I make my own mMulti Millet flour. Will come up with a detailed post soon. I am also diabetic but don’t consider myself as a patient. Yes, you can have this in moderation. Just one or two small pieces may not harm you. 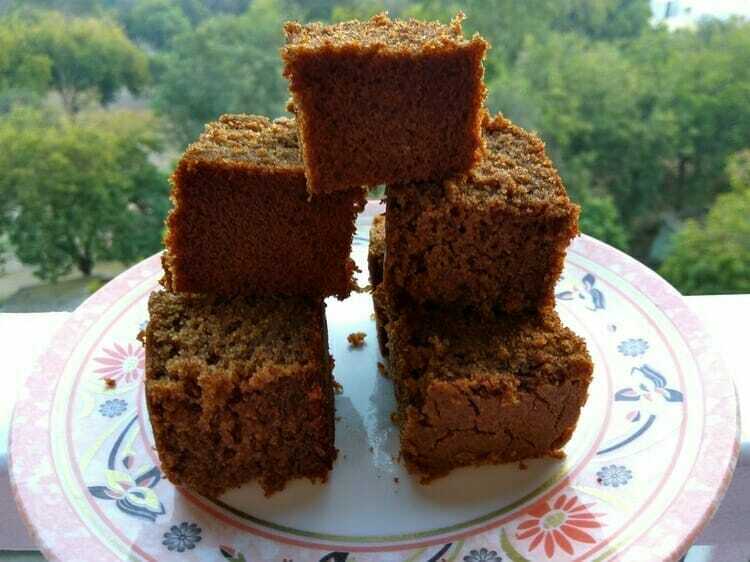 Once in a while it is fine to have sweets made with jaggery in small quantity. It is better to have sweets during day time rather than night because we don’t work after dinner.